Whynter BOR-53024-SSW Built-in Outdoor Beverage Refrigerator Cooler Full Stainless Steel Exterior with Lock and Optional Caster Wheels, Capacity: 5.3 cu. ft., 26" Cutout Depth, 34" Cutout Height, 24" Cutout Width, Full stainless steel body, Built-in installation / freestanding, Indoor / outdoor use, Luxurious curved handlebar, Cylinder lock and 2-keys, Interior lighting, Refrigerant: R134A, 3 removable and adjustable shelves, UPC 852749006351, Reversible door swing, Temperature range: 32�F to 64�F, Option caster wheels for added mobility, Fahrenheit and Celsius degree optional temperature indicators, Powerful fan-circulated compressor cooling ensures precise temperature distribution. 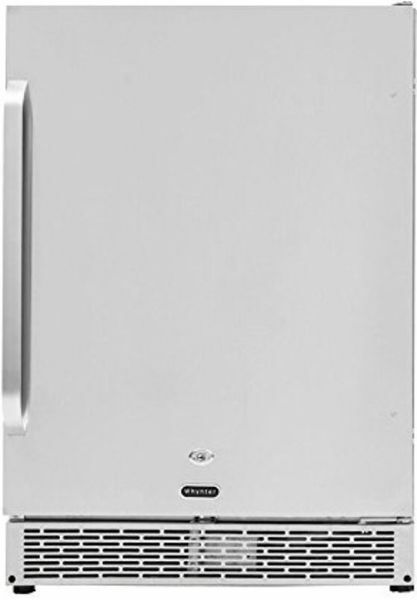 Deal for your outdoor kitchen or a patio bar, the Whynter BOR-53024-SSW Outdoor Stainless Steel Refrigerator can just as easily be the featured in your indoor entertainment space. 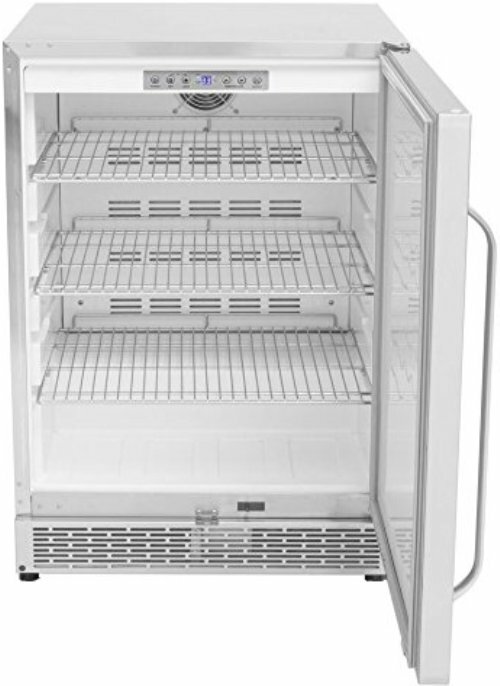 Manufactured with premium components and materials, this well-appointed refrigeration unit enhances any setting and is built to maintain temperature requirements under a wider range of ambient conditions. The full stainless steel exterior provides both high end appeal and superior temperature control. The unit features a front venting design for either freestanding or built-in usage, reversible door hinges for easier installation options and adjustable shelving to accommodate beverage cans, bottles or foodstuff. Built-In or Freestanding Capable Front ventilation allows for flush-with-cabinetry or under counter installation while the fully finished cabinet allows for freestanding use. Versatile Mobile Freezing A key feature of this indoor / outdoor refrigerator is its portable wheeled design which lets you easily transport or move your refrigerator whenever the need arises. The Whynter BOR-53024-SSW comes with optional wheel casters, two of which lock for secure stationary use. Safety Locks Secure your wine collection with the built-in door lock and key set.